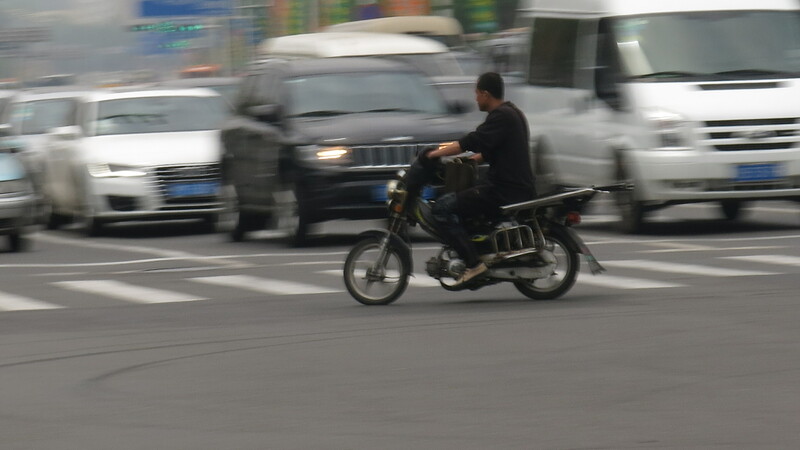 Qingdao – where did all the motorbikes go? 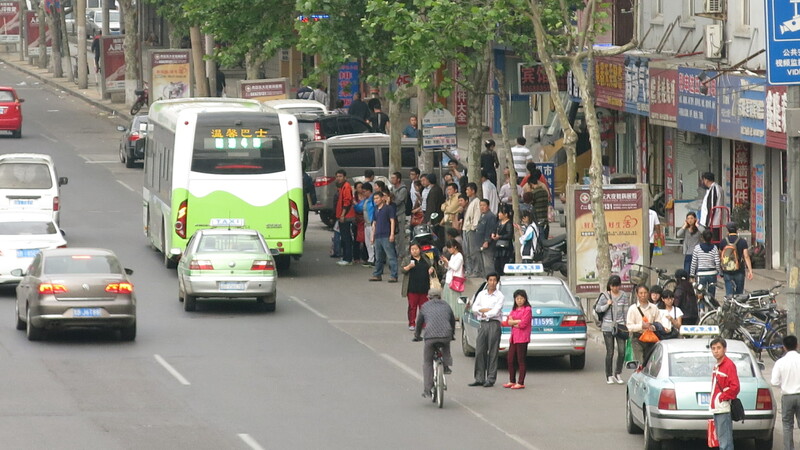 I had also heard rumours that Qingdao had forbidden riding bicycles along some of it’s streets so I was a little bit wary of the mentality behind the traffic planning here. 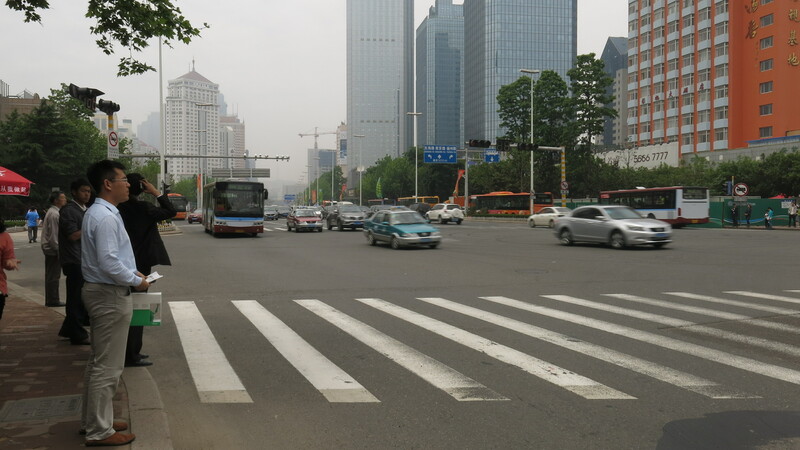 However, the next morning I walked down the road and after a few minutes on the street I noticed all sorts of vehicles being driven along the paths and roads. The predominant vehicles were enclosed and had at least four wheels but there were remnants of Asia’s love of carrying all sorts of cargo on two wheels. It was cool to see a dirty old bike (illegally) sharing the road with overpriced Bentleys. There were still lots of people to see on the streets. They were in the form of people walking along footpaths that one could only dream of in Hanoi or waiting for buses at modern looking shelters. The footpaths were separated from the road with hedges and trees and were a few metres wide. I actually think the landscaping was overdone and you would always see workers out, putting in new plants or ripping up pavements to repave them. At traffic lights they have put up umbrellas for pedestrians to wait under. This was a cute touch but I think the wind will get the better of them. The bus shelters were large and large communities would gather around them. In fact bus shelters provided a hub of activity. In order to get my fix of people watching I just had to hang out near a bus shelter. There were people running for buses that weren’t in sight yet. People checking bus route signs that I couldn’t understand, looking at their mobile phones, chatting, or just looking around. As I zoomed in on bus shelters, I felt kind of snoopy but I also felt happy, especially after spotting a daughter telling an animated story to her mum. 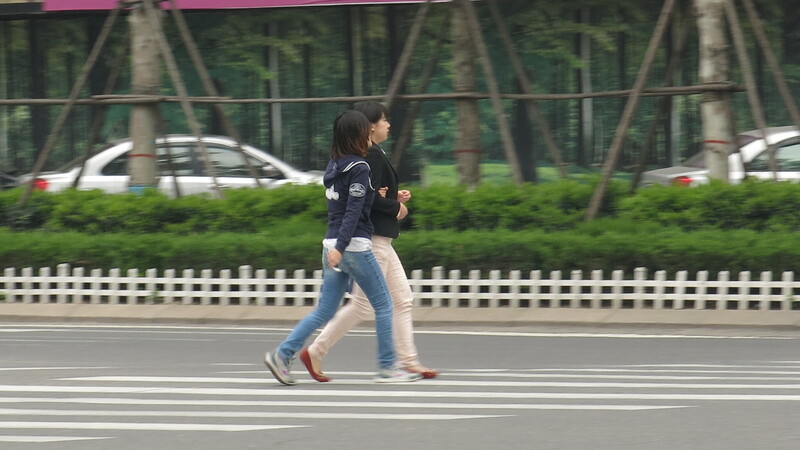 There is life in the streets of Qingdao! I was wary to film in China, so I had my little handheld camera working overtime as I pretended to be a snap happy tourist, so the quality of the shots might not be amazing.